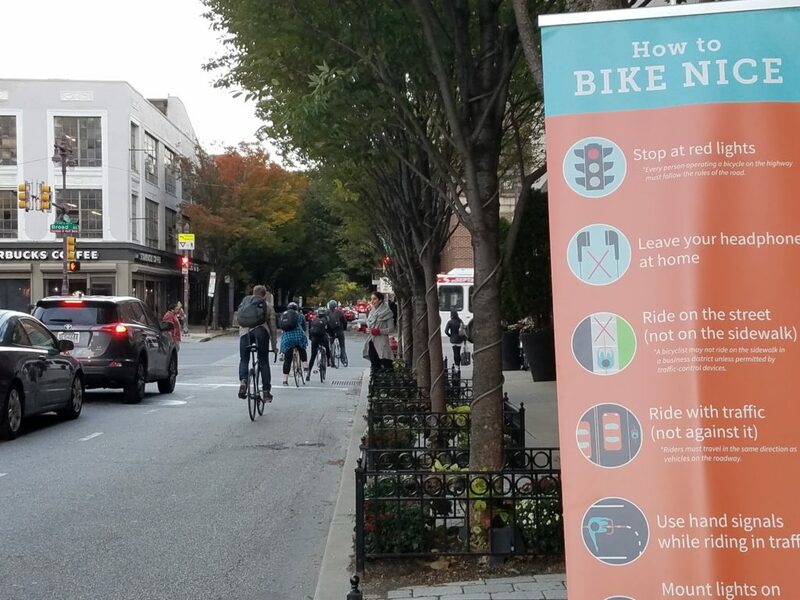 In the spirit of promoting greater civility among bicyclists, drivers and pedestrians, we are holding two street events this week to promote our courtesy campaign Bike Nice. This past Monday, we handed out free Capital One coffee cards and Halloween treats at the corner of Broad and Pine Streets. On Thursday, November 1st, we will be on the South Street Bridge from 4:30-5:30 next to the eastbound bike lane at the 76 on ramp. Hope to see you there!